The 26th Asian Baseball Championship is underway in Taichung hosted by Chinese Taipei Baseball Association and Taichung Government . 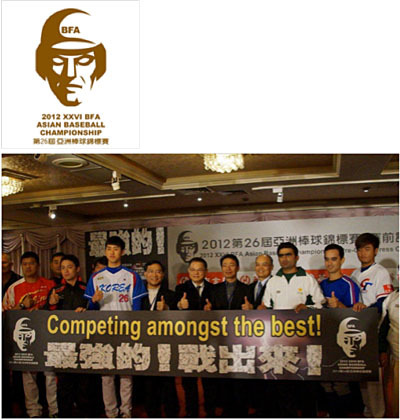 The tournament will be played from November 28 through h December 2 at Inter-Continental Baseball Stadium and Taiwan Sports University Baseball Field by 6 teams from Japan, Korea, Chinese Taipei, Philippines and Pakistan by single round robin system. The reigning champion, Team Japan, comprising amateur all-stars including 4 college players, will take on World Baseball Classic (WBC) squad of China and Chinese Taipei, as well as Team Korea which include professional players.